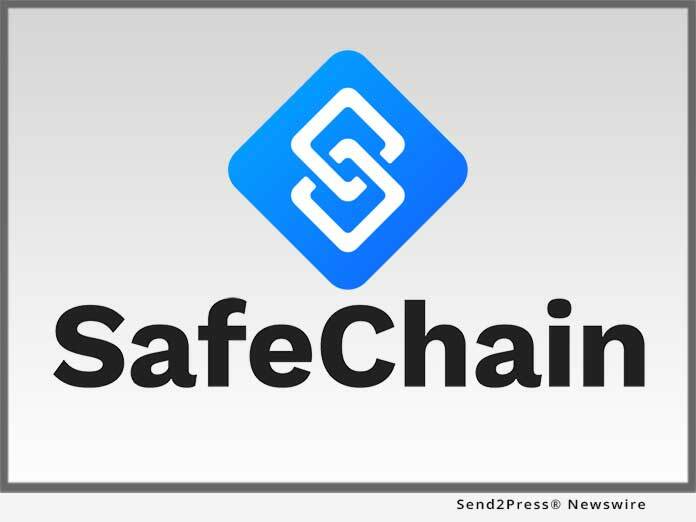 COLUMBUS, Ohio, Nov 15, 2018 (SEND2PRESS NEWSWIRE) -- SafeChain, the industry leader in wire fraud prevention software for land title, announced today it has added blockchain to its wire fraud prevention platform SafeWire(TM), making the company the first in the industry to do so. The addition of blockchain to SafeWire provides increased security for real estate wire transactions by ensuring fraudsters cannot tamper with wiring instructions undetected. "SafeChain is committed to stamping out wire fraud in the real estate industry," said Tony Franco, CEO and co-founder of SafeChain. "By coupling an ultra-secure, distributed ledger with SafeWire's identity verification and bank-level authentication technology, we have made the real estate wire transaction significantly more difficult to hack, thus providing home buyers, title companies and real estate agents additional assurance that their transaction is as fraud-free as possible." The SafeWire platform safeguards real estate wire transactions by verifying participants' identities and account ownership and providing a secure portal to transmit wiring instructions. With blockchain, SafeWire now offers a tamper-proof storage mechanism for wiring instructions that notifies users immediately if an unauthorized party attempts to alter the instructions. "Today, real estate wire fraud is being perpetrated primarily through business email compromise schemes, where fraudsters spoof the email accounts of legitimate participants to fraudulently divert funds. However, this won't always be the case, as fraudsters become more sophisticated in their attempts," said Robert Zwink, CTO and co-founder of SafeChain. "Blockchain provides the most advanced data security available today, and adding this element to SafeWire ensures that our customers' transactions are secure both today and in the future." SafeChain makes real estate transactions safer and simpler. Built by real estate title experts in collaboration with banking technologists, SafeChain tackles the inefficiencies of the buying and selling process from the inside-out to help title companies, mortgage bankers and realtors decrease costs and deliver a better experience for customers. Leveraging the most advanced technologies, including blockchain, SafeChain increases the speed and security of closings to deliver faster transactions and better consumer confidence. For more information visit: https://www.safechain.io/. This press release was issued on behalf of the news source, who is solely responsible for its accuracy, by Send2Press Newswire. © 2019 CitizenWire. All Rights Reserved. Part of the Neotrope® News Network, USA.